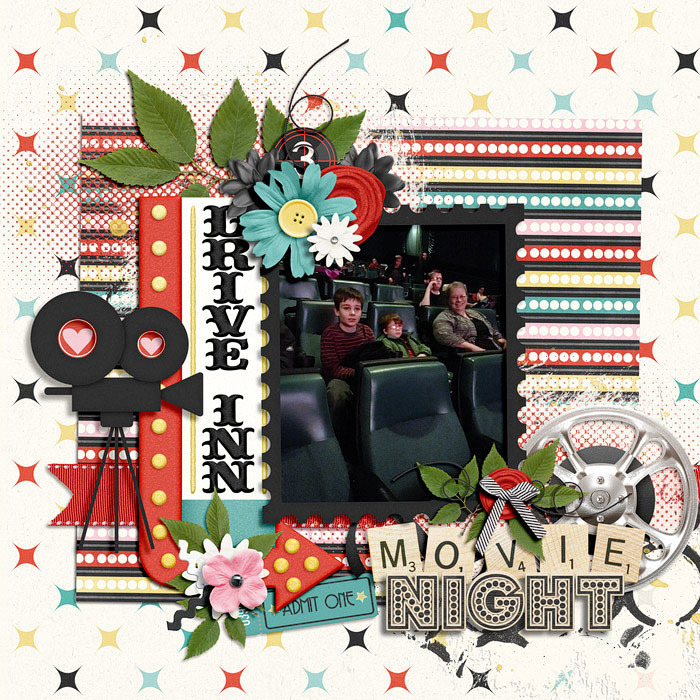 Come on out to the Drive In! 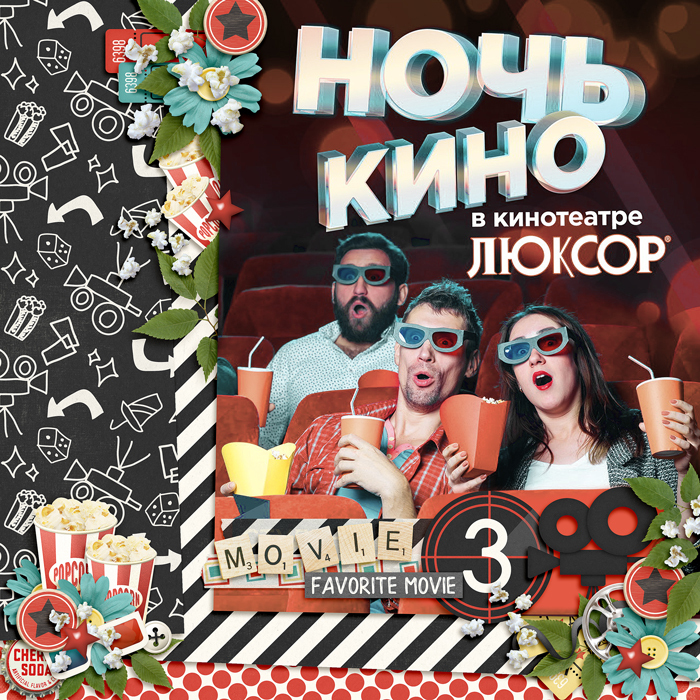 Popcorn, cuddles, family and fun! 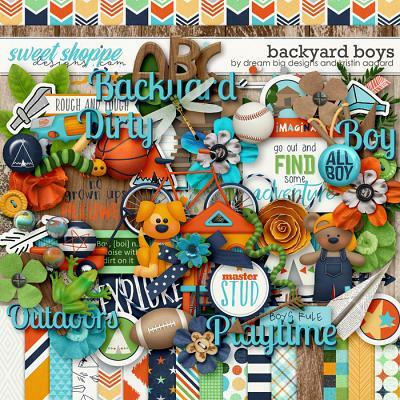 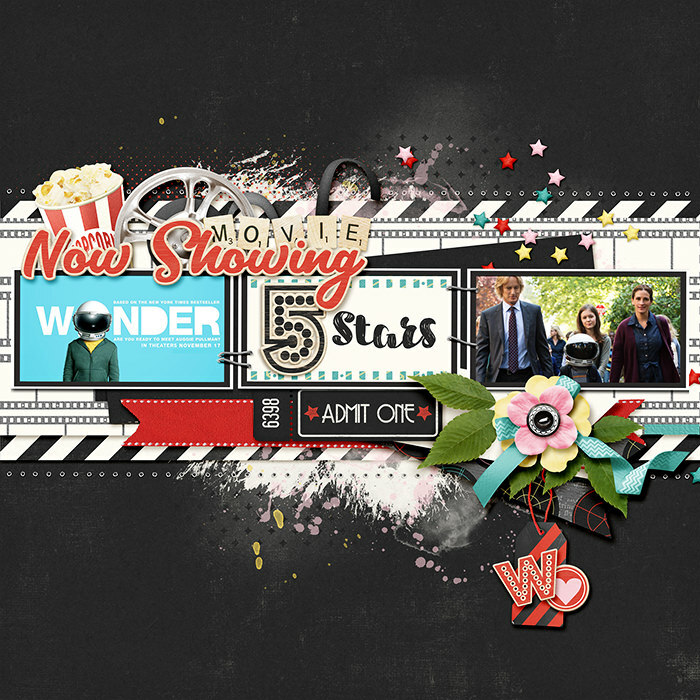 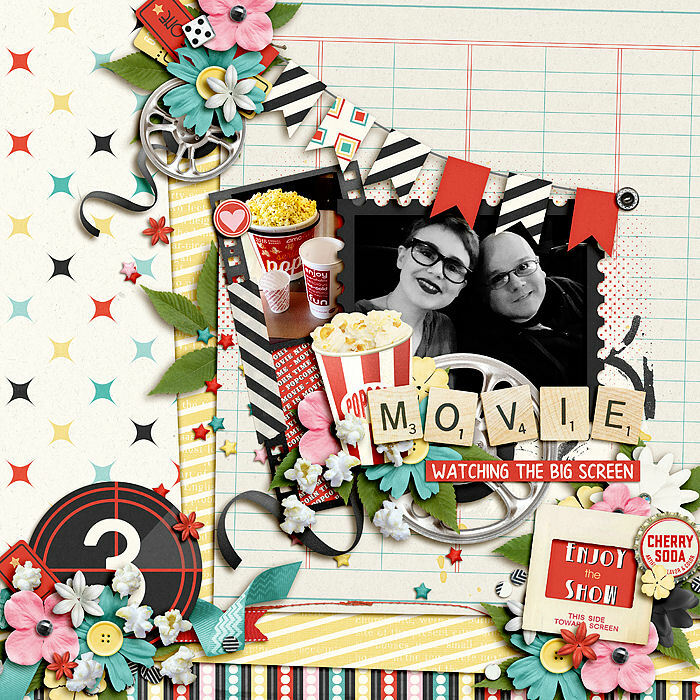 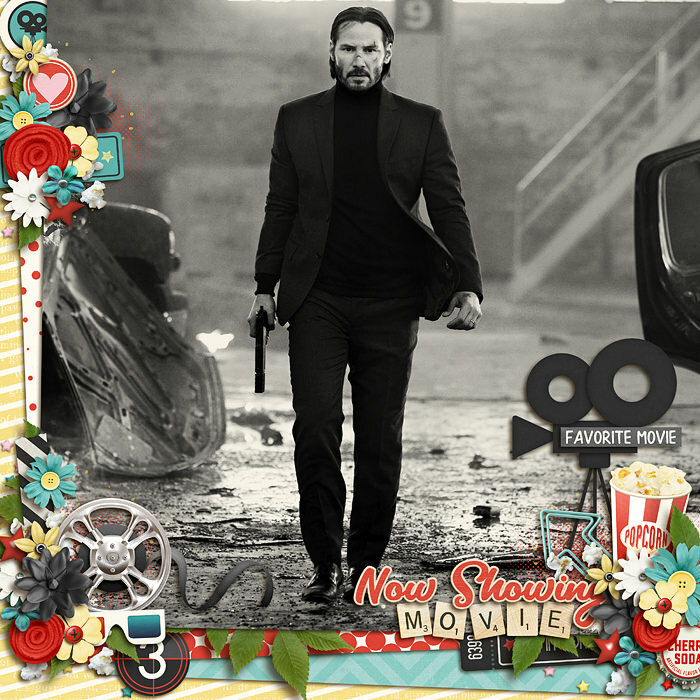 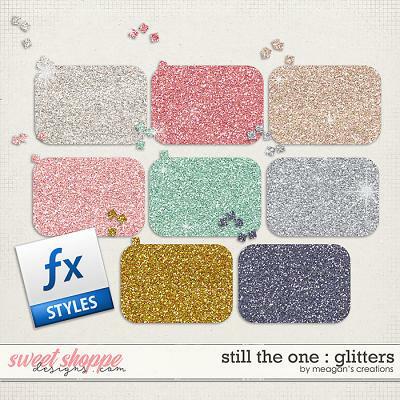 It's movie time...this Digital Scrapbook kit is full of vintage colors and adorable cinema details. 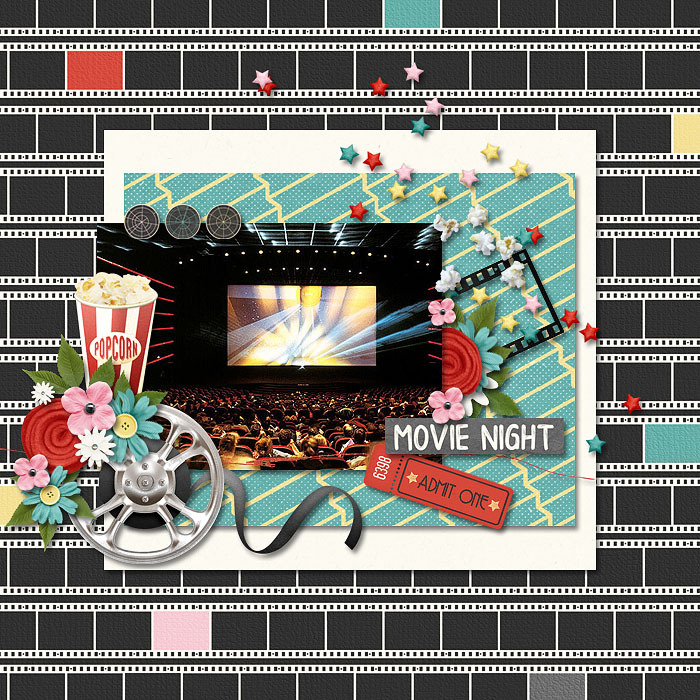 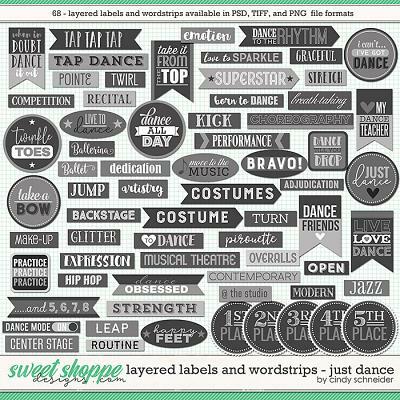 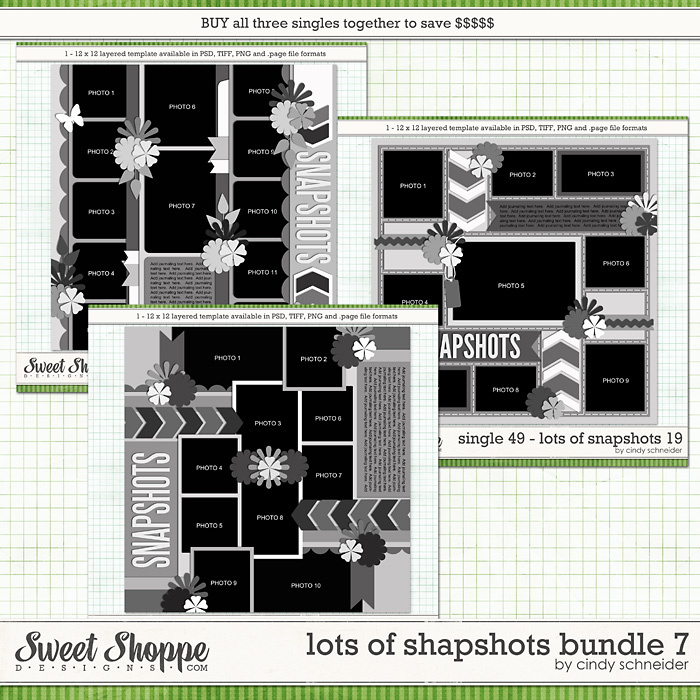 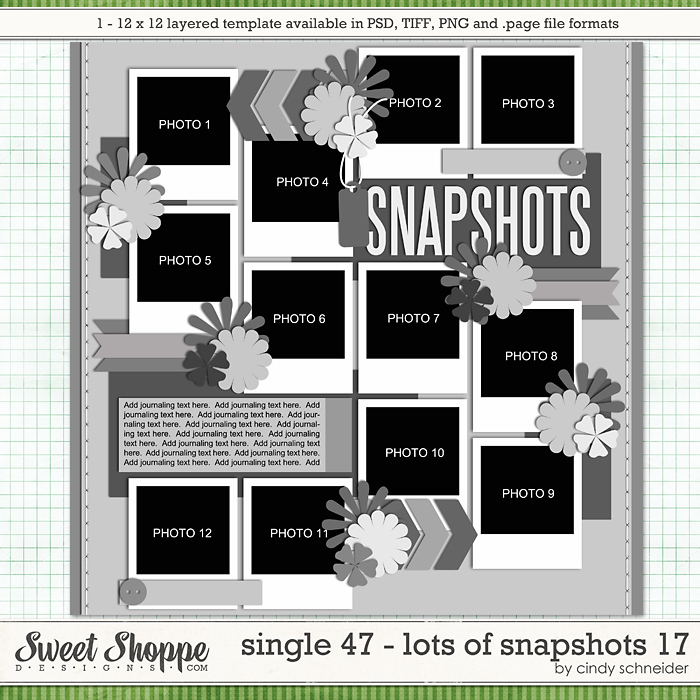 Pack includes 17 Pattern Papers, 8 Solid Papers, Banner, 2 Bows, 5 Buttons, 2 Cameras, Car, 2 Chips, Circles, Word Art, Top, 5 Cards, Clip, Dice, Dog, 3 Doodles, 12 Flowers, 3 Frames, Glasses, 2 Labels, Tiles, Reel, Leaf, Paint, Popcorn, 3 Ribbon, Ric Rac, 2 Signs, 2 Scatters, 3 Stars, Stitch, Speaker, 4 Stickers, 2 Straws, String, 13 Tags, 2 Washi tape and Coordinating Alpha.